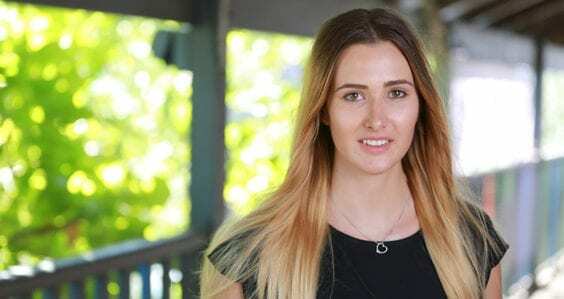 Curtin University students and a graduate are featuring their work in an exhibition, “Fashion[ing] Wool”, at the ENEX100 fashion mall in Perth. 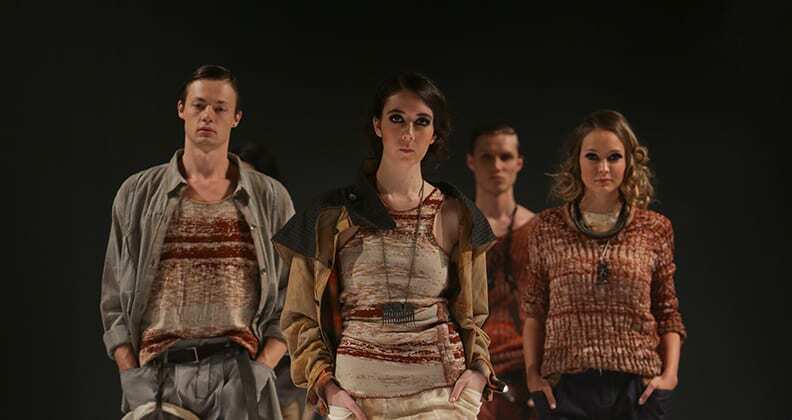 A Life in Wool by Curtin fashion graduate, Cordelia Gibbs. 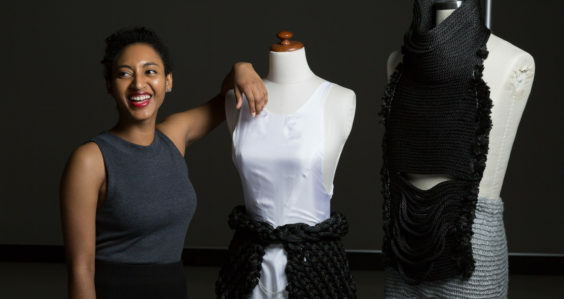 Fashion[ing] Wool runs until Friday 10 July, showcasing designs created by second and third year Curtin fashion students and a Curtin fashion graduate using wool fibre, yarn and commercial fabrics. Wool has played a significant role in the development of Australian identity, heritage and fashion culture. In the early 1900s, woollen fabrics were used to fashion garments, work clothes and even bathers. Western Australia still produces high-quality wool fibres, however, in the rush to develop new technologies and materials, the unique aesthetic and properties of natural materials, such as wool, are often overlooked or forgotten. 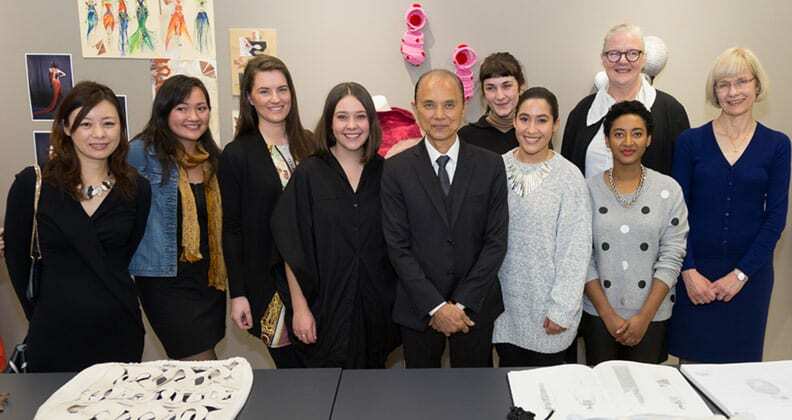 The exhibition includes the work of Cordelia Gibbs, a recent graduate and winner of the 2014 Supreme Award at the Australian Wool Fashion Awards, and Mallory Maduka-Ike, a third year student who was recently awarded a year-long mentorship with fashion icon, Jimmy Choo. Chrysalis by Curtin fashion student and winner of the year-long mentorship with Jimmy Choo, Mallory Maduka-Ike (Photographer: Songy Knox). The work in the exhibition was created by students in response to design briefs given to them during their studies, which explored the use of wool in developing their garments. 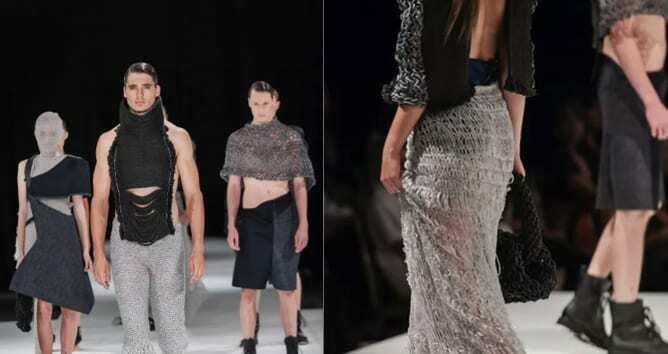 Second year fashion students were asked to fashion garments that explored the unique characteristics of wool fibre, yarn and cloth, and drew upon traits associated with Western Australia’s physical landscape and its extremities of scale, colour, texture and light. Third year students were asked to examine the use of wool in suits, analysing the cultural traditions used in its design and construction. As a result of these projects, many students continue their investigations into the fashioning of wool through into their collections presented at the end of their final year of study and possibly into their practice after graduation. 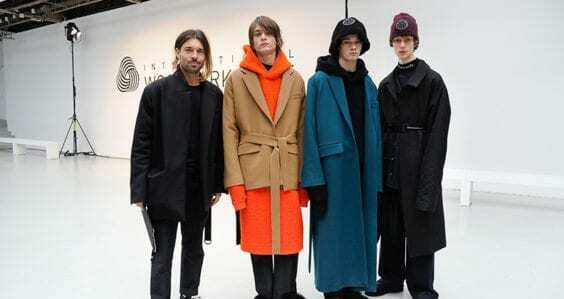 For more information, please visit our undergraduate fashion course page.